WordPress.org “self hosted WordPress blog” के नाम से जाना जाता है, जिसके बारे में मैं आपको थोड़ी देर में बताऊंगा. WordPress.com automattic के द्वारा provide किया गया एक free blogging platform है, जहाँ हर कोई free में blog बना सकता है. जब आप WordPress.com में एक blog create करते हैं तो आपको एक web address मिलेगा, जैसे “name.WordPress.com”. आपका blog WordPress server पे host किया जाता है. ये एक perfect platform है उनके लिए जो अपनी personal writings को host करने के लिए blog use करना चाहते हैं. यहाँ बहुत से paid add-ons भी available होते हैं, और आप custom domain names भी खरीद सकते हैं, paid themes भी use कर सकते हैं. लेकिन WordPress.com में आप के ऊपर blog manage करने पे बहुत सारी limitations भी होती हैं. आप third party plug-ins install नहीं कर सकते. आपके पास limited themes की ही choice होती है. एक personal blog के point of view से ये एक बुरा option नहीं है, क्युकी WordPress team आपके blog को manage करती है और उसका backup भी रखती है. ये individuals के लिए अच्छा platform है, जो की अपना personal blog start करना चाहते हैं. Companies को ऐसे web-space की जरुरत होती है announcements के लिए, जहाँ design और branding important नहीं हैं. ऐसे लोग जो blog से पैसे कमाना चाहते हैं. ऐसी companies जो की अपनी marketing के लिए blog का use कर रही हैं. ऐसे लोग जो अपने blog पे fully control (FTP, Custom code, Custom Plug-ins etc.) करना चाहते हैं. ये थी WordPress.com की details, अब मैं आपको WordPresss.org के बारे में बताऊंगा. 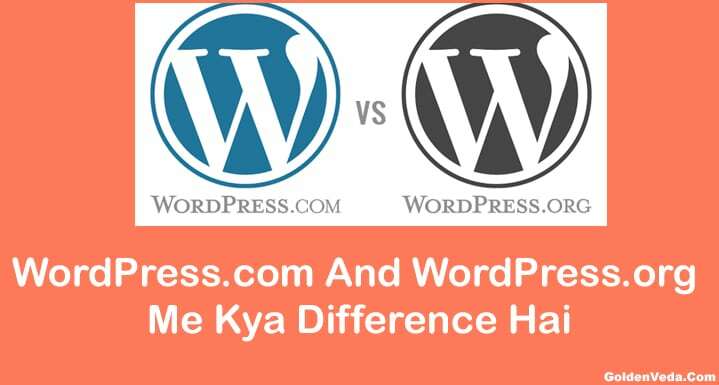 WordPress.org एक perfect platform है उनके लिए जो blog से पैसे कमाना चाहते हैं, small business promote करना चाहते हैं, या एक e-commerce site बनाना चाहते हैं. WordPress.org को use करने के लिए WordPress की official site से WordPress की एक copy download करिये और उसे अपने hosting server पे install करिये. क्युकी WordPress.org दुनिया के सबसे popular platforms में से एक है, बहुत सी hosting companies, like Fantastico आपको एक click में ही WordPress install करने की facility देती हैं. WordPress.org वो सभी limitations हटा देता है जो की WordPress.com में हैं, और आप अपनी site पे complete control कर सकते हैं. आप custom themes create कर सकते हैं, third party themes install कर सकते हैं. Third Party plug-ins install कर सकते हैं. कुछ दुनिया की सबसे popular sites (Like TechCrunch, CNN, Forbes) WordPress VIP के द्वारा sponsor की जाती हैं. दुनिया की 19% websites WordPress ही sponsor करती है. WordPress का app हर popular mobile platform के लिए available है (Android, Blackberry, iOS). आप search engine friendly migration की help से अपने WordPress.com या Blogger.com के blog को migrate कर के self hosted WordPress.org बना सकते हैं. WordPress.org individuals और companies के लिए पैसे कमाने के लिए एक perfect platform create करता है. आप बहुत सी jobs post कर सकते हैं और पा भी सकते हैं Freelancer.com जैसे marketplaces से. Thanks For reading. I hope you liked my post. Give your feedback in comments and share in social media. Hey #Surak ji,Aap wordpress.com se move karne ke liye following step apnaye. 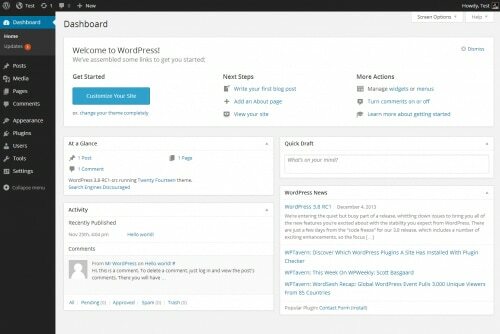 2.Import your data to your self hosted wordpress blog. If you any other problem….say me ok.